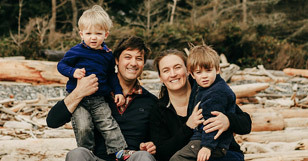 Spirit of the West Adventures, a sea kayaking company specializing in kayaking tours in the Vancouver Island area as well as a variety of international destinations including Chile and the Bahamas is doing their part to be a sustainable and responsible eco-tourism company. In 2011 alone the small sea kayaking company donated over $6000 to non-profit environmental groups including West Coat Environmental Law, the Save our Salmon Foundation, the Wilderness Tourism Association, The Mainland Enhancement of Salmonoid Species Society and The Johnstone Strait Killer Whale Interpretative Center Society. Spirit of the West Adventures’ owner operators Rick Snowdon, Breanne Quesnel and John Waibel, believe “it is important to support those who work so hard to protect our fragile environment”. They also believe that Eco-tourism is more than just offering tours in the outdoors, “Being a responsible ecotourism operator means always thinking about ‘the bigger picture’ and how our actions as individuals and as a company will affect the environment”. West Coast Law, one of the recipients of the donation from Spirit of the West Adventures offers legal support and services to individuals and organizations that are working to defend and protect wild spaces, intact ecosystems and community values. Being a responsible ecotourism operator means always thinking about ‘the bigger picture’ and how our actions as individuals and as a company will affect the environment. One Percent for the Planet members donate 1% of all of their sales to non-profit environmental groups. To learn more about 1% for the planet and how to become a member or benefit from the donations of members visit http://www.onepercentfortheplanet.org. Spirit of the West Adventures, located on Quadra Island, British Columbia, has run multi-day kayaking tours in the Vancouver Island area for over 15 years. Spirit of the West offers sea kayaking tours around Vancouver Island including Johnstone Strait and the Broughton Archipelago, Desolation Sound, and the Nuchatlitz. International sea kayaking destinations include Chile, the Bahamas and Greenland. Spirit of the West Adventures is Canada’s first certified carbon neutral kayaking company.